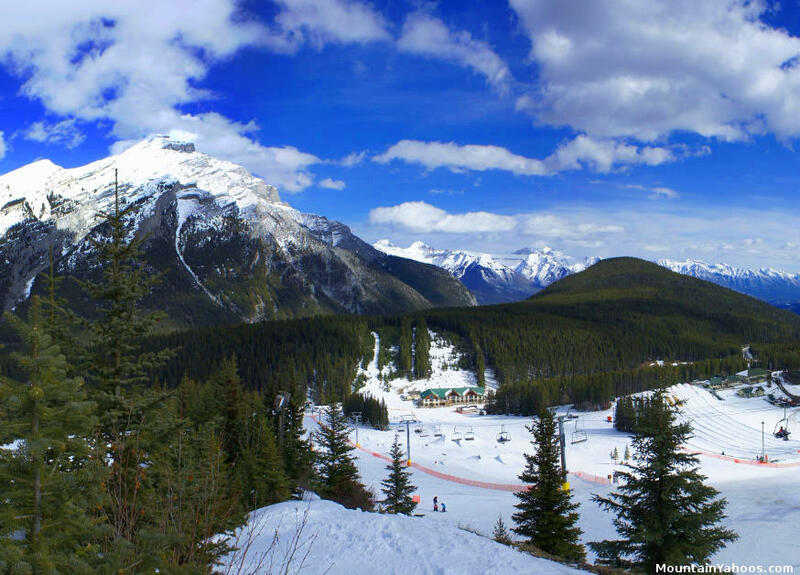 While Norquay is a small resort, it is less expensive than the other Banff resorts, it is also usually less crowded and you can park near the lodge. 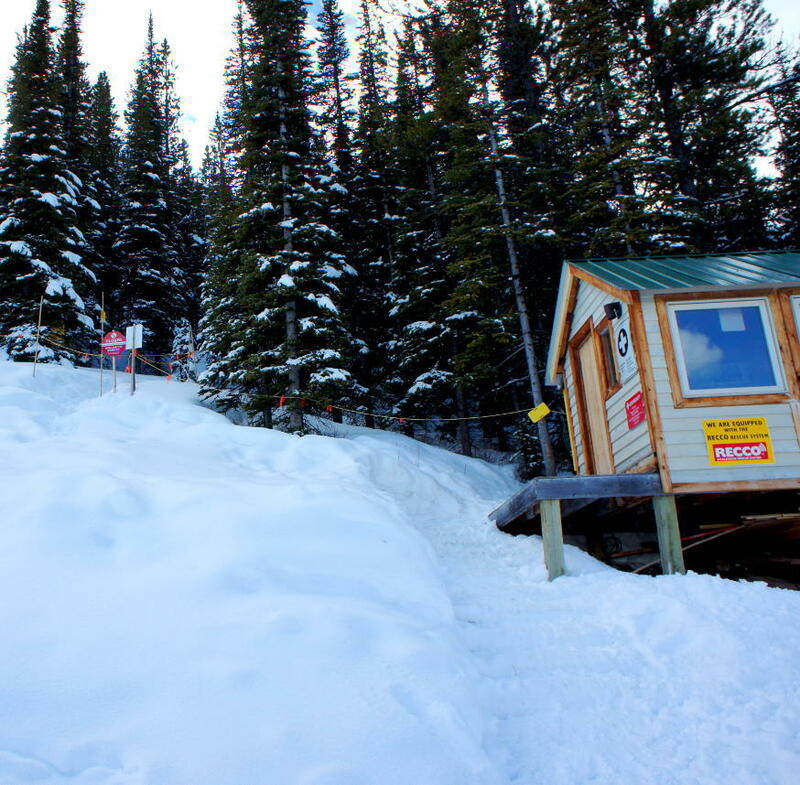 One will find basic amenities on the mountain like lunch, lockers, ski school, rentals and washrooms. Anything else you might need can be found in the town of Banff. 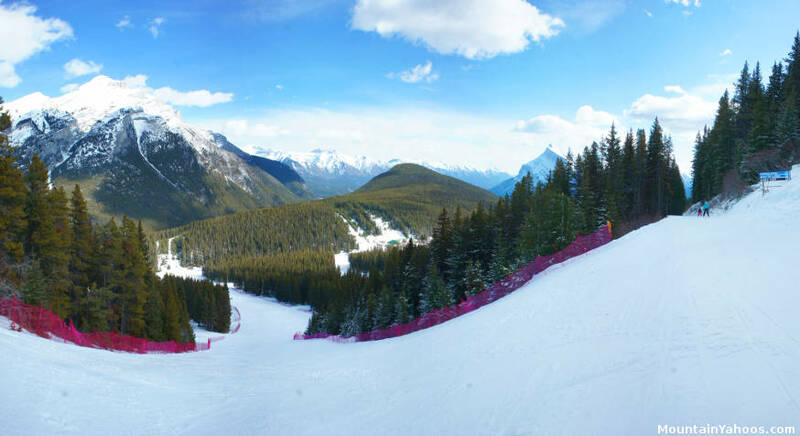 Norquay is the only Banff resort to offer night skiing. 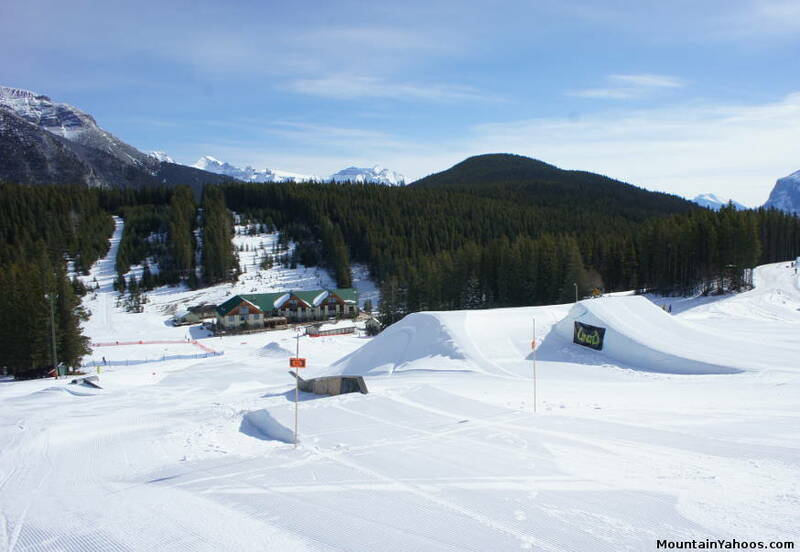 Norquay is a small resort but has a lot of interesting terrain. Avalanche conditions and snow coverage may limit what is open. 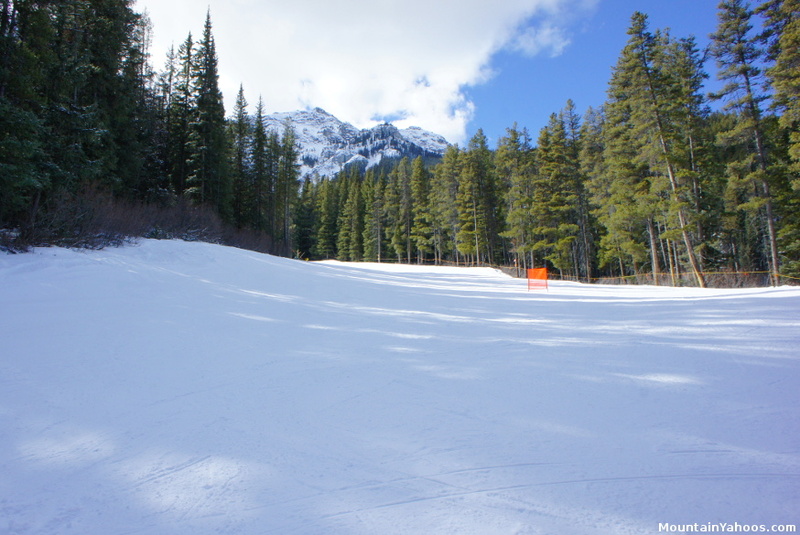 The easiest trails can be found from the Cascade or Spirit chairlifts which service the lowest elevations on the mountain. There is also Sundance, a "magic carpet" conveyor lift for the very young and first timers. 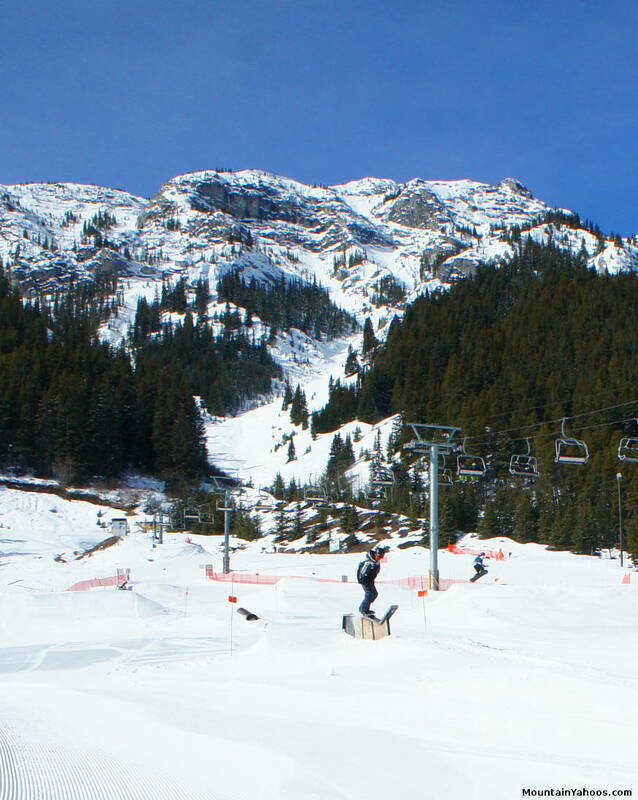 Beginners will also like the fact that Mount Norquay is rarely crowded. 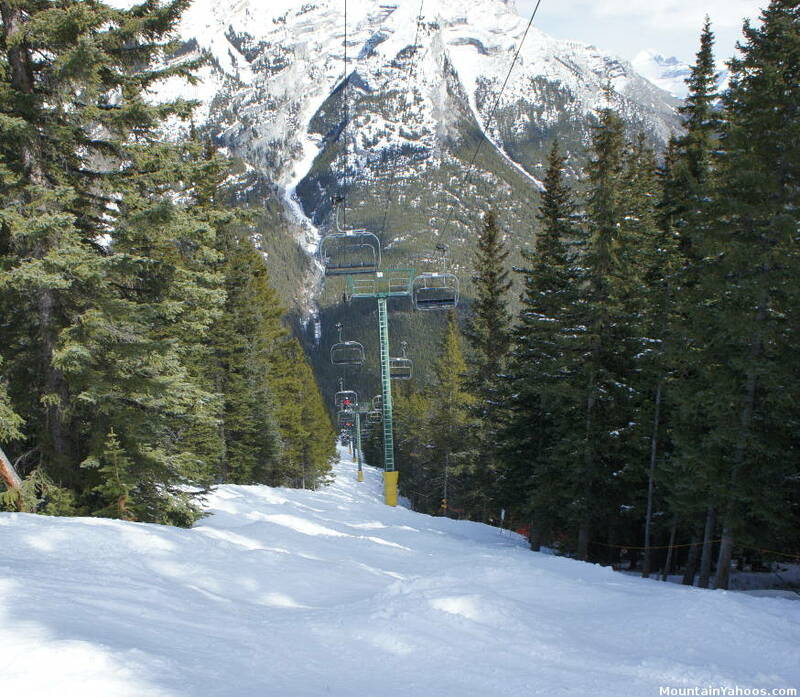 Mount Norquay has a variety of black diamond and double black diamond rated runs. 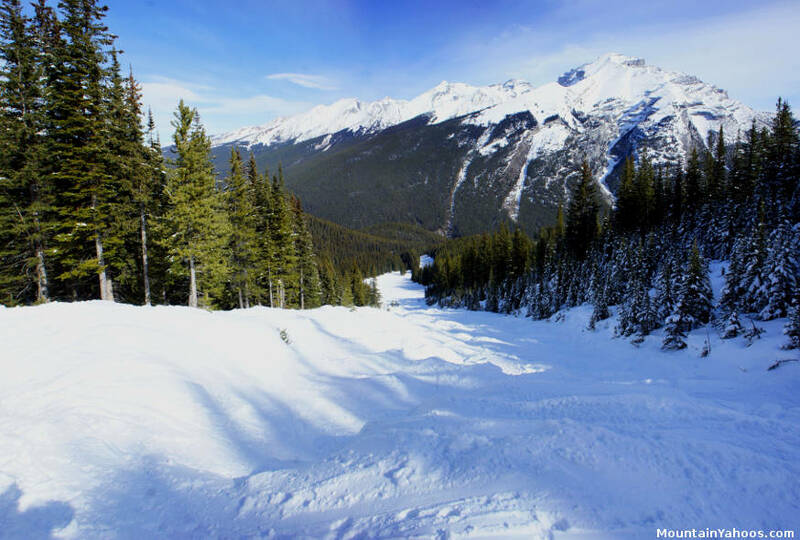 The actual difficulty of the run will depend on snow conditions, the density and shape of moguls and grade of the various sections of the run. I found that one had to visit and ski the run to determine its' actual difficulty. A recent grooming will make an advanced run easy while a recent snowfall and mogul build up will make it more advanced. It is for this reason that I show BR-2 in this section with advanced runs, a run marked as a blue on the trail map, but with the mogul conditions of a black diamond run. As you approach the mountain, your first view is of "Upper Lone Pine" and "Gun Run", which are usually peppered with moguls. These are accessed from the North American double chair. As with many ski resorts, there are also moguls located where one can embarrass themselves (or show-off) the most, under the lift. A panoramic view in the middle of the run BR-2. 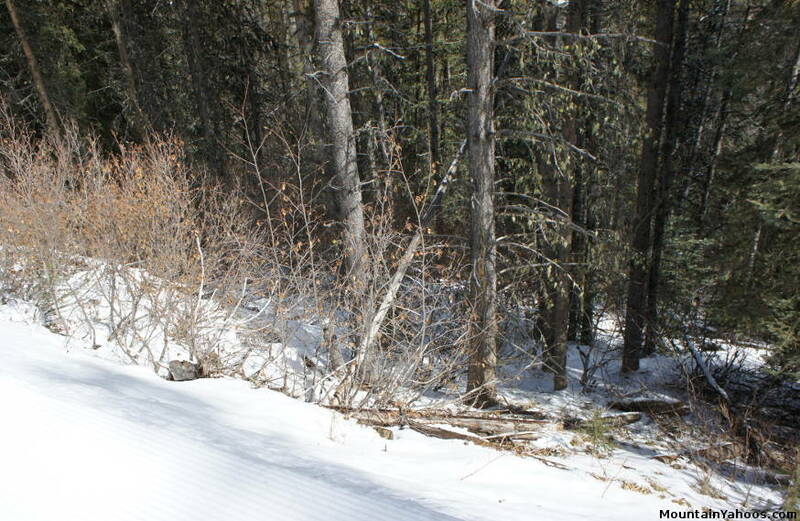 Advanced skiers will have to dispel the common instinct of darting from a trail into the woods for powder. Brush and hazards will prevent entry into the woods except on cleared, marked trails like "FM-2" (requires a hike), "Sun Chutes" and Sheep Chutes". Hike entrance at the top of Mystic Express Lift through the woods to run "FM-2"
There is no skiing allowed beyond the resort boundary except for the gate at the top of Mystic Express Lift which leads to the run FM-2. There is nowhere to go if one leaves the boundary. The brush is too dense to ski the trees. The steep rocky terrain above the tree line is un-hikeable and generally too rocky to ski. You will want to stay in-bounds for the best terrain. Note that there are no helicopter operators in Banff National Park (not legal). All Heli operators are outside the park. 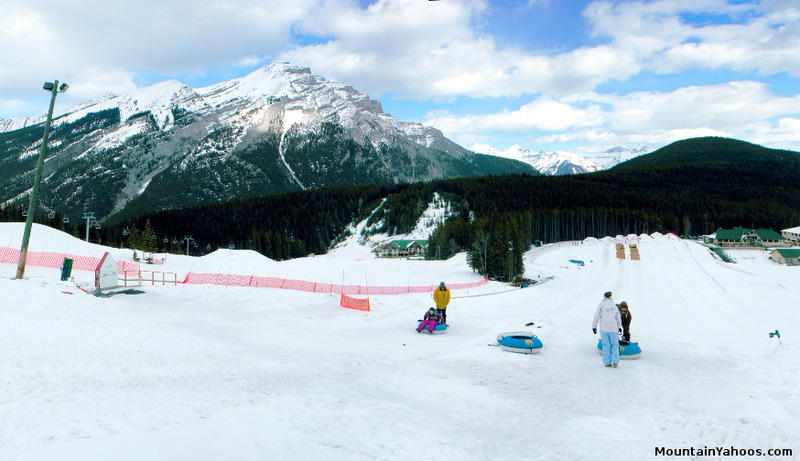 For those too young or un-interested in skiing or snowboarding, Mount Norquay has tubing. 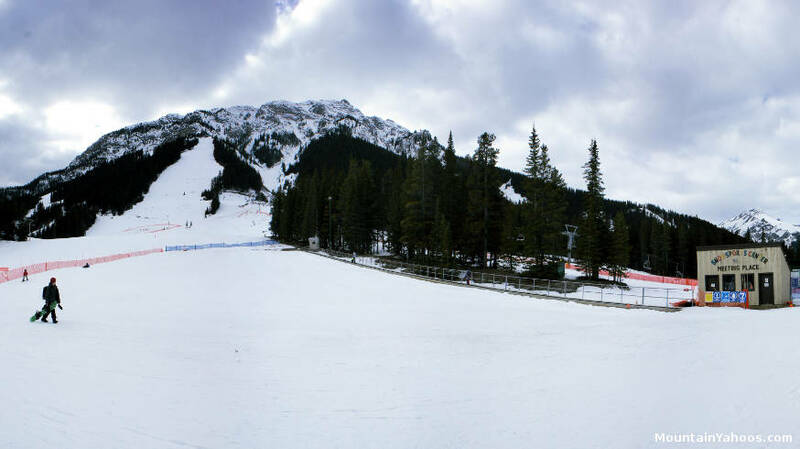 There is one guest lodge at the base of Mount Norquay, Cascade Lodge. It has a cafeteria, tables and rest rooms. The rental shop has its own building. There is an additional building for the ski school. That's it. The town of Banff is very close and can provide anything else one may need. 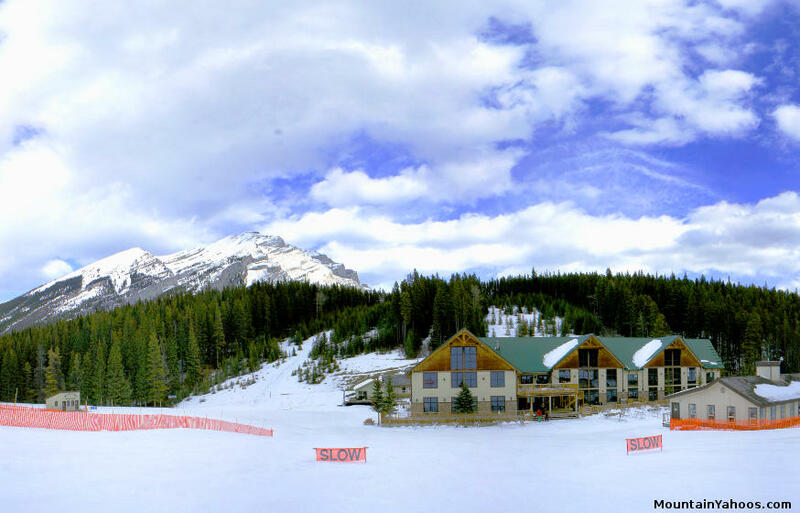 A panoramic tour of the Cascade base lodge area.